Disclosure: This post may contain references to products in which Travel Freely can earn a commission. This helps to keep Travel Freely FREE! The companion pass is quite simply the best thing in free travel for most domestic travelers. If you don’t take big international vacations, you’re probably always looking to Southwest for the best deals on domestic travel (and some nearby Int’l destinations). Regardless of the companion pass, we love using Southwest Rapid Rewards because this airlines and their miles rock! They allow free bags and their miles are normally great miles to cash value. If you are booking 14+ days out, you can normally find super deals on using your points for nonstop routes. Also, unlike other airlines, Southwest has no cancellation fees for using miles. You can cancel at any time and get your miles back immediately. That’s why my wife and I love SW points so much. If we’re 50/50 on taking a trip, we can book the flights and know that we can always cancel. An example… in 2017, I was so excited about going to a Coldplay concert in Mexico City. But in Denver, snow was in the forecast for my flight, so I booked another flight the next day on Southwest as a backup. When I was able to make my original flight, I cancelled the Southwest flight for free and got all of my miles back. 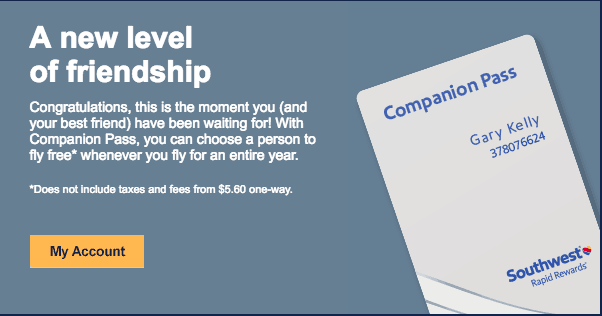 Here’s the best thing: the Southwest Companion Pass. The Companion Pass allows you to add a travel companion who can travel for free (have to pay taxes and fees) on any flight that you book using cash OR Rapid Rewards points. The pass is good for the rest of the year in which you earn it AND the following year! So if you earn it in 2019, the pass is good for ALL of 2019 AND ALL of 2020. That is a lot of value right there, especially if you get on this early in the year. Unlike other airline incentives, the Southwest Companion Pass can be used an unlimited number of times!!! The only real restriction is that you can only change your companion on the pass up to three times per year. You choose one person at a time to be your companion. However, you can change that person three times per the calendar year. 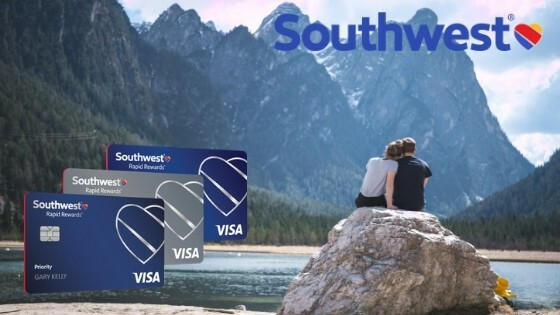 “Companion Pass Qualifying Points are earned from your revenue flights booked through Southwest Airlines, your points earned by making purchases with a Southwest Airlines Rapid Rewards Credit Card, and your base points earned from Rapid Rewards partners.” – from Southwest on the Companion Pass. The base points earned from Rapid Rewards partners include sign-up bonuses from Rapid Rewards credit cards. Here’s what does and does not qualify. 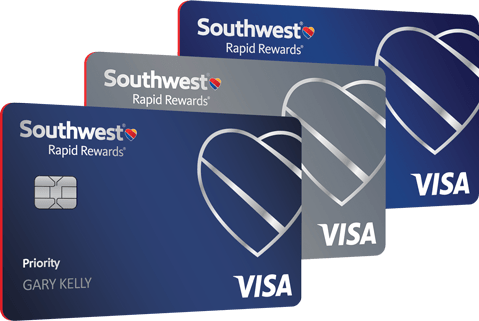 Until the Spring of 2018, you could sign up for multiple personal Southwest cards and easily earn the companion pass through those bonuses. But the rules changed in Spring 2018. It’s a little trickier. You can only be approved for a Southwest personal credit card if a) you do NOT currently have a Southwest personal credit card; and b) it has been 24 months since your last bonus on a Southwest Personal Credit card. So, if you’ve had a card in the past 28 months, you need to know the date opened, and you might need to consider having a significant other get the Companion Pass instead. Therefore, the easiest and fastest way to earn this pass is that you (or a spouse) sign up for one personal card (Priority, Plus, or Premier) and one Southwest Rapid Rewards Premier Business Card, which has a current sign-up bonus (As of Dec 31, 2018) of 60,000 miles. That’s a total of 104,000 points after hitting the bonuses! Note: Many people stop when they realize they have to get a business card. But, it is possible to get a business card even if you don’t run a large company. Read our post “Am I Eligible For a Business Credit Card?”. Note: It’s not necessary to have an EIN number to apply for a business credit card if you are a Sole Proprietor. If you are, then you use your SSN as the EIN and make sure to put your actual name as the business name instead of the business name. If you have had a personal or business card in the past, you can only get that same card again IF: a) it has been 24 months since you received a bonus (normally 28 months since the card opened date); and b) You do not currently have the card. This is why the Travel Freely software is SO helpful. It will track these dates and the CardGenie will only recommend cards you are eligible to receive. Sign up for free (no credit card required). Chase is the bank issuer for these cards. They are subject to their “unofficial” 5/24 rule. So, make sure you cards are added to your Travel Freely dashboard and make sure your 5/24 number is under 5. Not sure what you’re 5/24 number is? 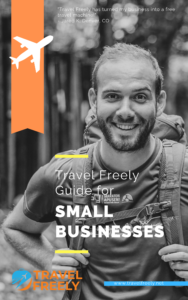 Here’s an article that is also in our Travel Freely resources. Basically, you need to prioritize signing up Chase credit cards above others in order to be approved for Chase cards. The Southwest Companion Pass is by far the best deal in free travel for the average domestic traveler. There’s no comparison. While we still recommend the Chase Sapphire Preferred as the best starter card for those with good credit, this is the best play for those ready to get more than one card. If you can jump on this early in the year, it brings even more value. Chase Ultimate Rewards points can be transferred to Southwest Rapid Rewards. BUT, these transferred points will NOT count towards your Companion Pass points total. You can sign up and get these cards now. Some people have been successful at getting approved for both a personal and business card on the same day, but it is more difficult compared to spacing out applications. Best strategy is to separate your personal and business card applications by 30+ days. So, if you want to space them out, you can apply for one now and then the other 31 days later. Note: If you already have 2 tickets booked in early 2019 on Southwest, people have been able to convert those flights to a free companion flight retro-actively once you earn the Companion Pass. You have to earn the Companion Pass before you take those flights, though. Consider booking hotels through SouthwestHotels.com where you can sometimes earn up to 10,000 miles per night! Use Southwest’s Rapid Rewards Shopping Portal. Note, anything earned specifically as “bonus” points will not count towards your Companion Pass total. Put additional monthly, everyday spending on this card. Ready to go for the companion pass? Have a question specific to your situation? Please email Zac at [email protected] for any help. Lastly, remember that Travel Freely can earn a commission when you sign up with our links found in this article, or by going to Best Cards on the top menu. Thanks for considering our links to keep Travel Freely free! 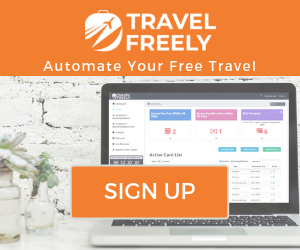 Travel Freely is the free, simple app that allows you to earn $1,500+ in free travel every year. Spend 30 min per month and let us do the rest. We automate your reminders and credit card recommendations. Try for free today. Are You Sure You Have the Best Rewards Card?